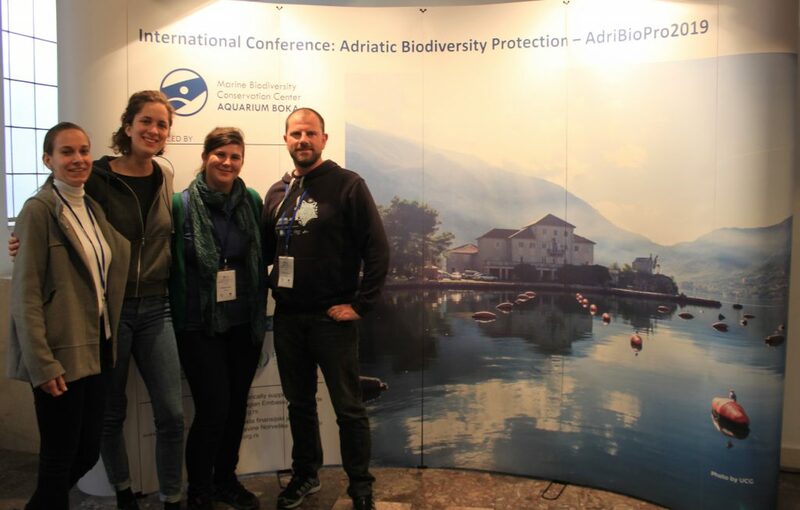 International Conference: Adriatic Biodiversity Protection – AdriBioPro2019 was organized from April 7-10, 2019 in Kotor, by the University of Montenegro, the Institute of Marine Biology. We participated at the conference with three oral presentations. Kora presented the underwater biodiversity of Silba reefs. Data for that research was collected on a field trip last fall under project by BIUS – Biology Student Association and 20000 Leagues Society. Kora pointed out the use of non-invasive methods and importance of young scientists being trained for basic marine biology research – habitat maping and inventarization. Hrvoje presented the first results review of the extensive exploration of shallow infralittoral communities of necto-benthic fish in the Adriatic, including the populations in Montenegro using only “bubble free” diving without noise, in complete silence with the rebreather. The results have shown that, beside using that extravagant, but effective, diving set up for research, our fish communities are in poor shape, with few exceptions. It is necessary to continue to work, protect and reinforce control! From that point, Barbara continued in “Conservation of Coastal and Marine Areas” section to present to all colleagues from the region, data that pointed to the need for strong control and reinforcment in marine protected areas, particularly when establishing them, or establishing a “no-take” zone. Dvorski K., Guić R., Čižmek H. Underwater biodiversity of Silba. 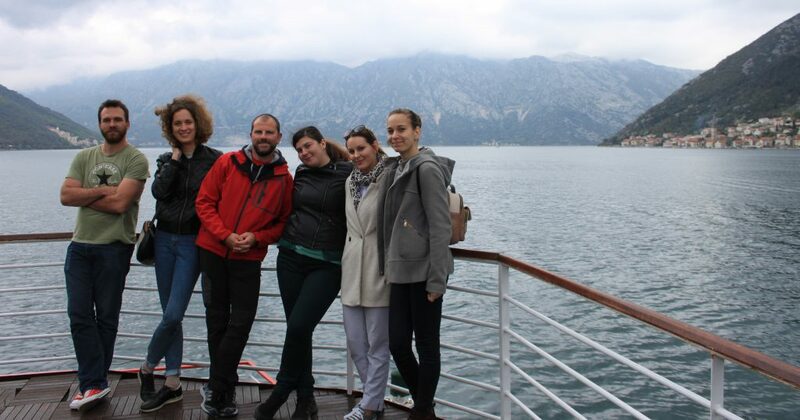 As a country without Marine Protected Areas, and are just in planning, Montenegro has the opportunity to implement all the best practices from the Mediterranean at to learn about the successes and omissions that are happening to the rest of us – we wish them luck on that road! 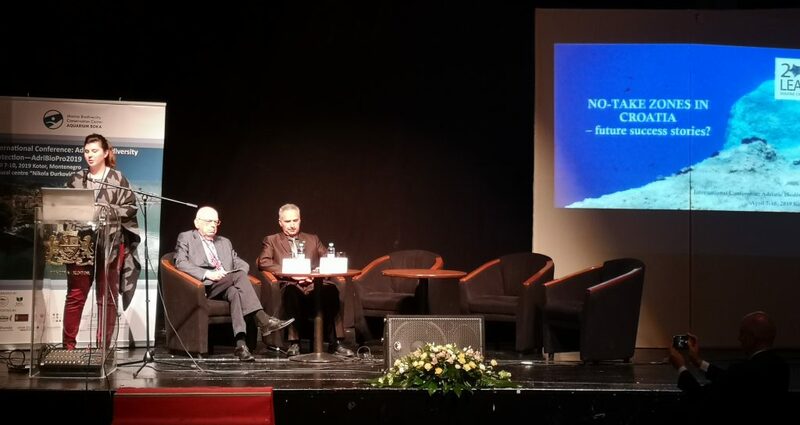 The conference was attended by experts from 16 countries of the Mediterranean and beyond, and most of them were experts, scientists and associates from the region that presented their current research and data that can be useful for science and for the decision-making and policy making efforts on a number of issues about the Adriatic, marine biology and relevant scientific disciplines . We exchanged knowledge, experience and stories during the four days of conference, and succesfully created new partnerships and plans fr future collaborations. We give thanks to our great hosts and we will come back for the next one in two years in the same place – 2021. in Kotor!